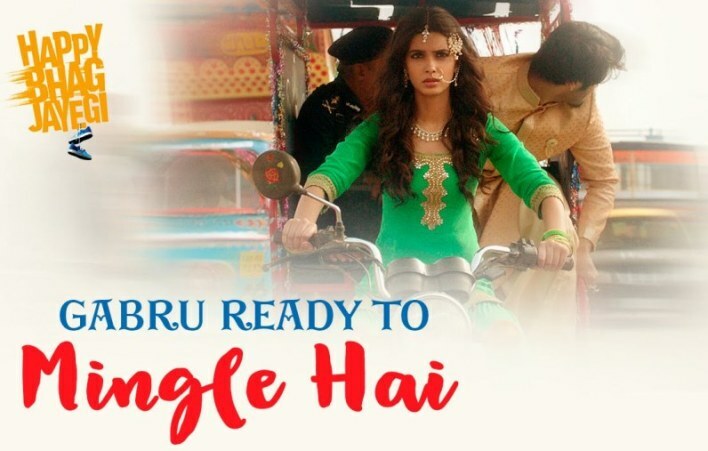 Gabru Ready To Mingle Hai song lyrics in Hindi from movie Happy Bhag Jayegi sung by Mika Singh, Jimmy Sheirgill, Ali Fazal, Momal Sheikh. Lyrics penned by Mudassar Aziz and composed by Sohail Sen. Starring Abhay Deol, Diana Penty. ओ कुड़िये, ओ कुड़िये, हाँ हाँ..